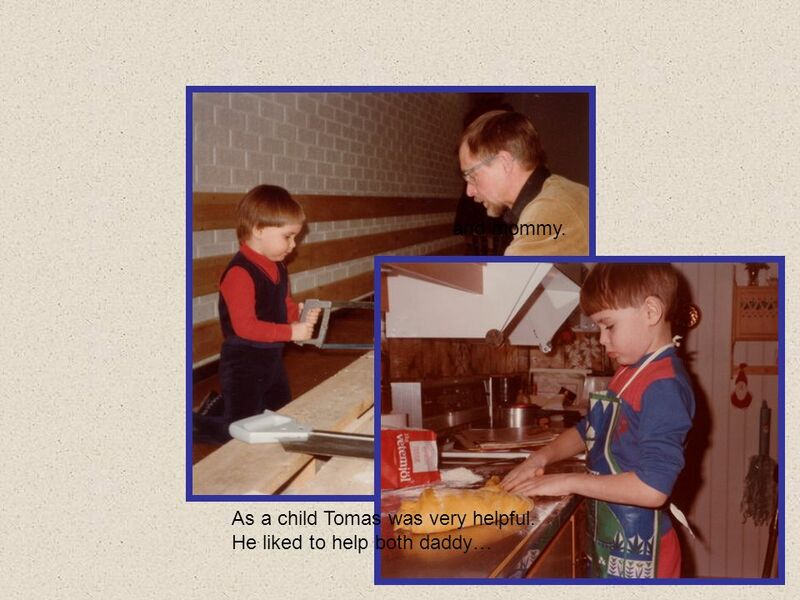 The Tomas you never knew. 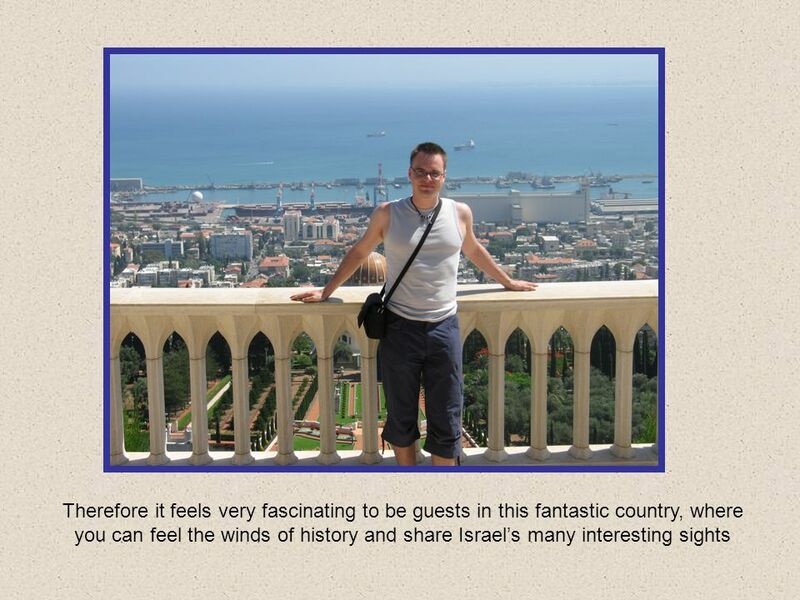 Dear Na’ama and Tomas, Tsipor and Giora with family, relatives and friends. We are Tomas' parents Gudrun and Kalle and it is. 2 Dear Na’ama and Tomas, Tsipor and Giora with family, relatives and friends. 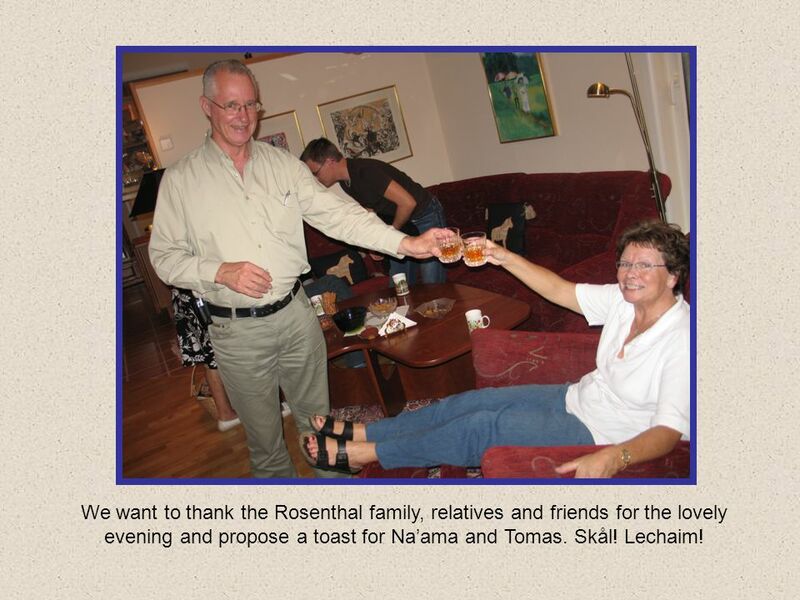 We are Tomas' parents Gudrun and Kalle and it is a great honor to be here with you tonight. 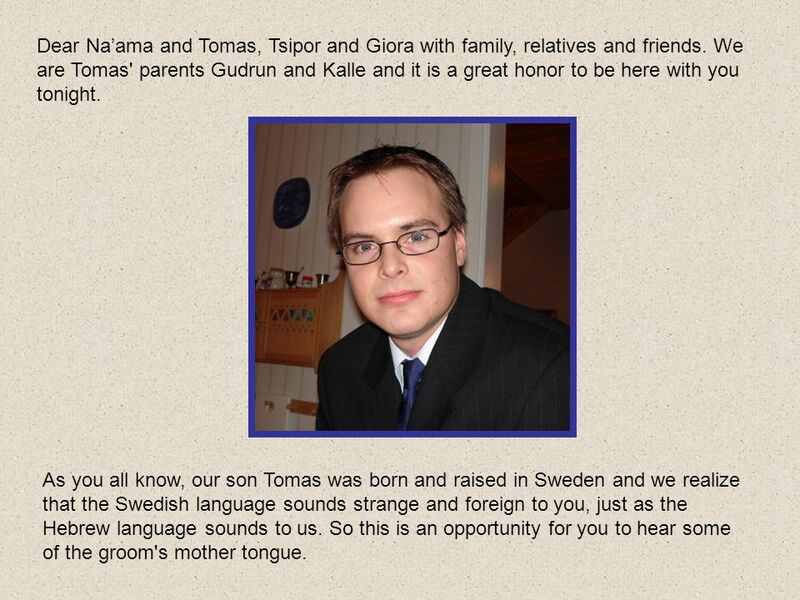 As you all know, our son Tomas was born and raised in Sweden and we realize that the Swedish language sounds strange and foreign to you, just as the Hebrew language sounds to us. So this is an opportunity for you to hear some of the groom's mother tongue. 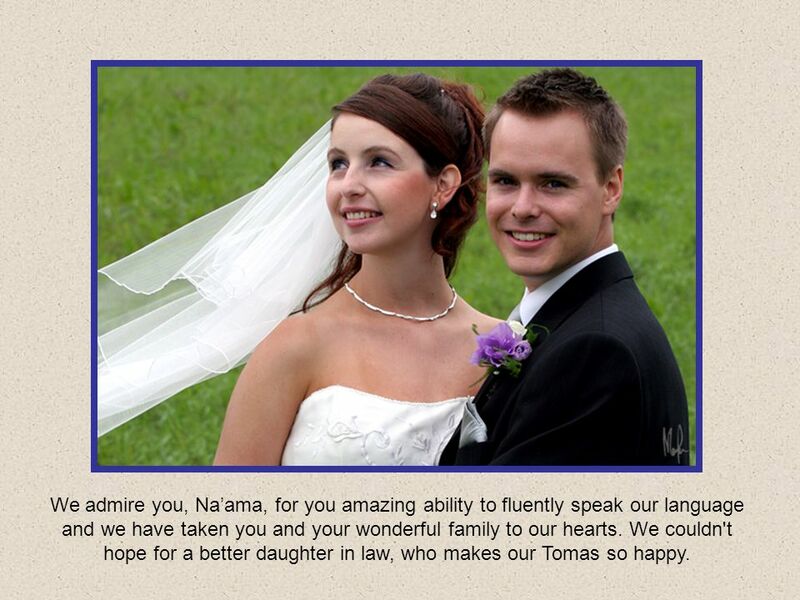 3 We can imagine that you are a bit curious of Naama's husband Tomas and we want to tell you a little of how he was made. 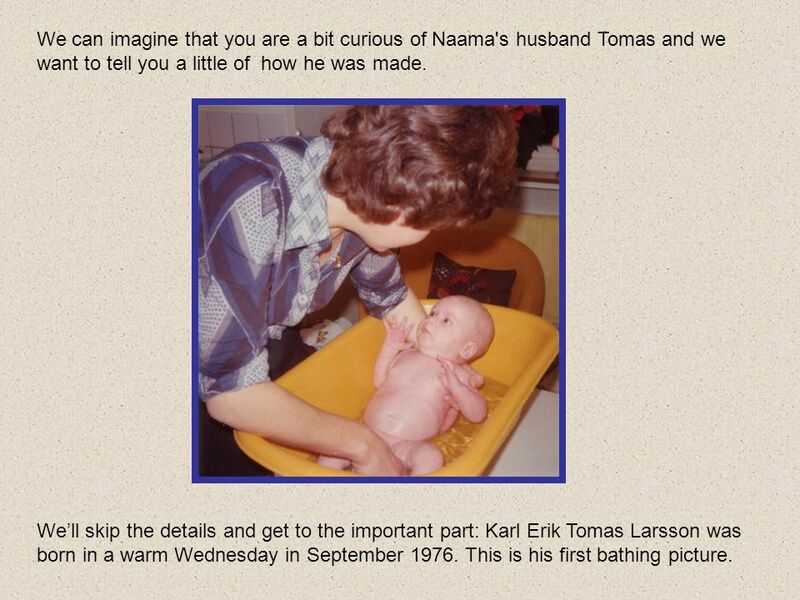 We’ll skip the details and get to the important part: Karl Erik Tomas Larsson was born in a warm Wednesday in September 1976. This is his first bathing picture. 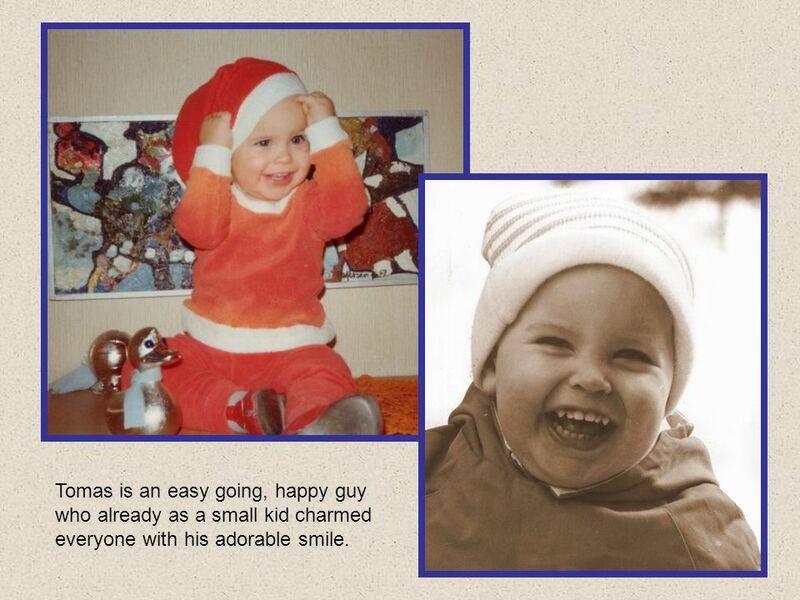 4 Tomas is an easy going, happy guy who already as a small kid charmed everyone with his adorable smile. 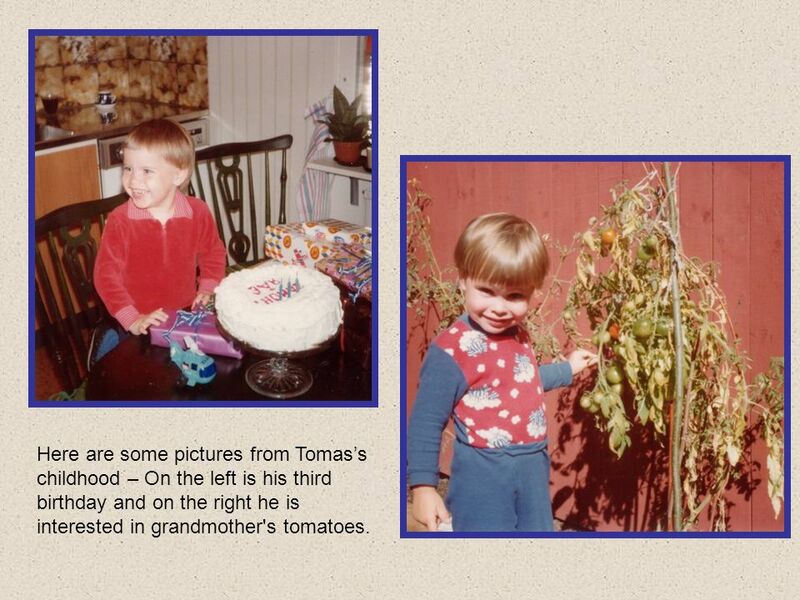 6 Here are some pictures from Tomas’s childhood – On the left is his third birthday and on the right he is interested in grandmother's tomatoes. 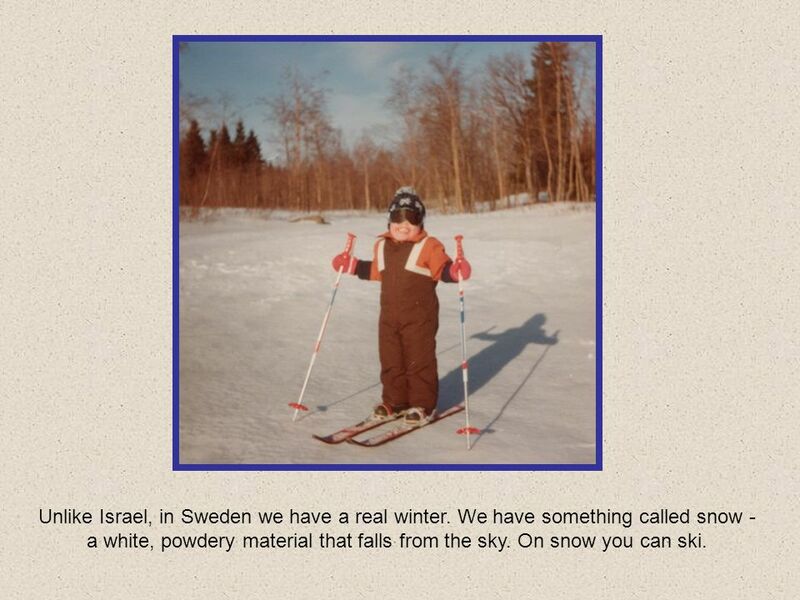 7 Unlike Israel, in Sweden we have a real winter. 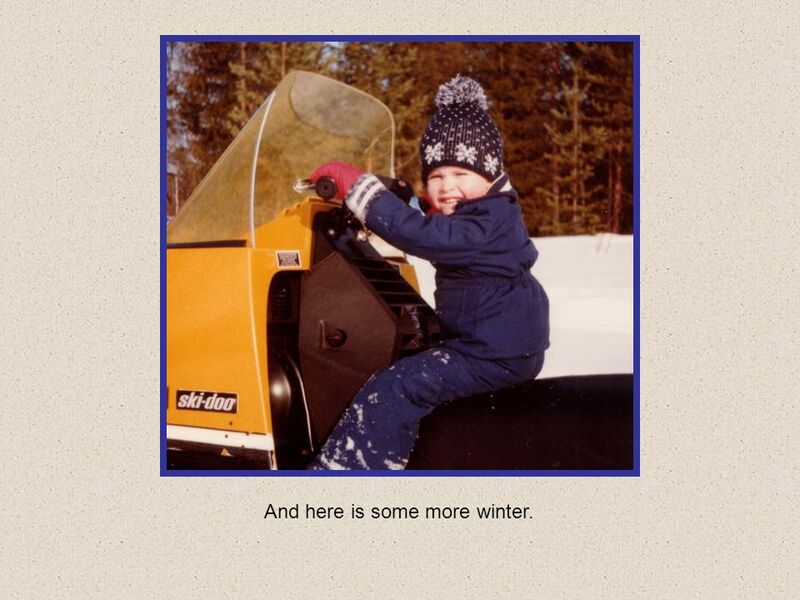 We have something called snow - a white, powdery material that falls from the sky. 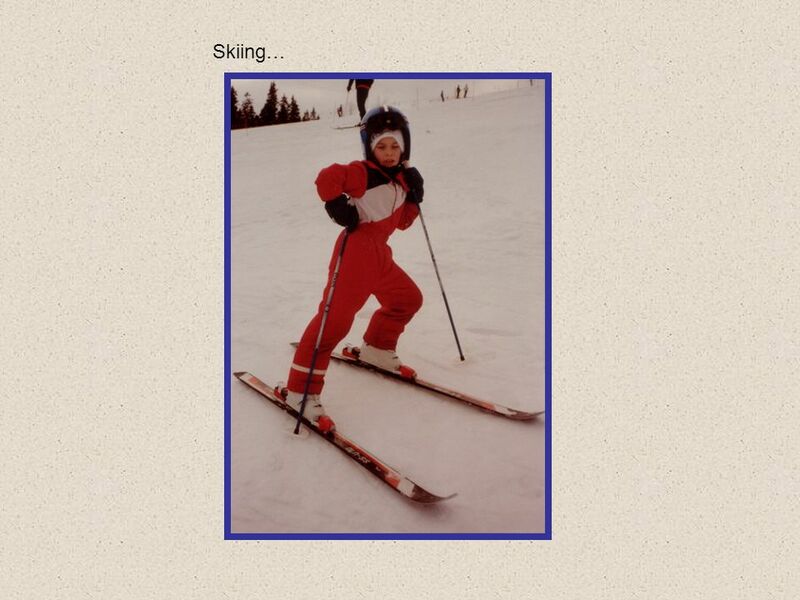 On snow you can ski. 8 And here is some more winter. 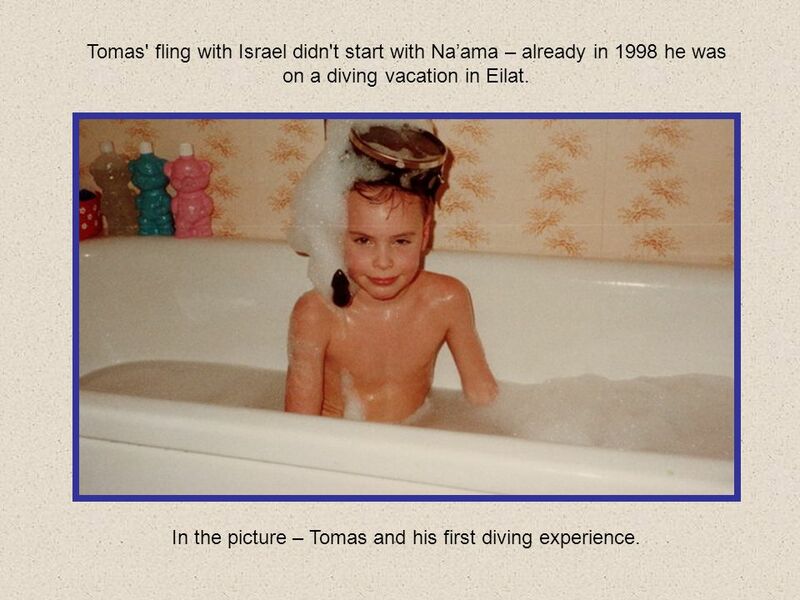 10 Tomas' fling with Israel didn't start with Na’ama – already in 1998 he was on a diving vacation in Eilat. 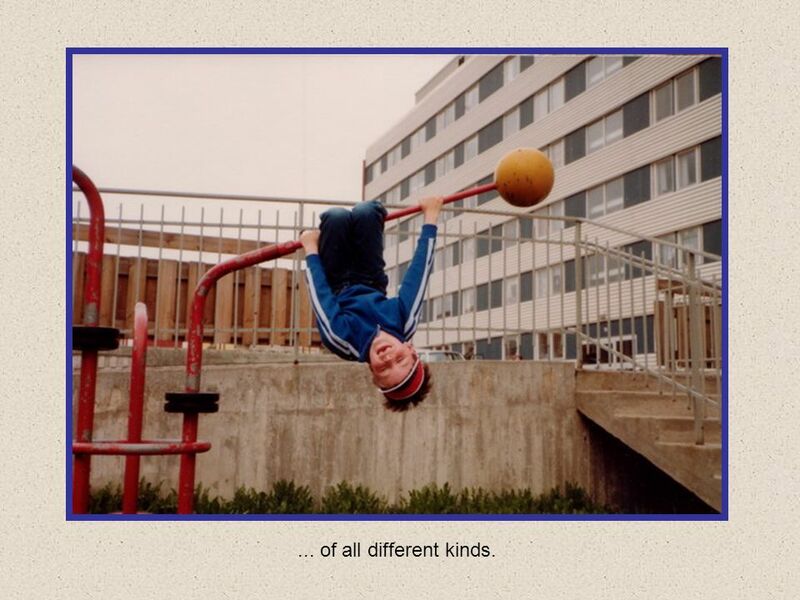 In the picture – Tomas and his first diving experience. 12 ... of all different kinds. 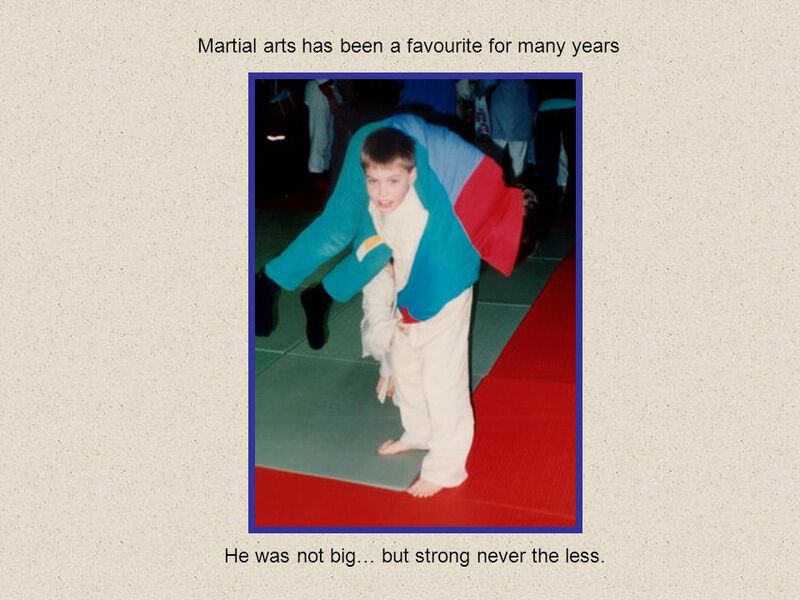 14 Martial arts has been a favourite for many years He was not big… but strong never the less. 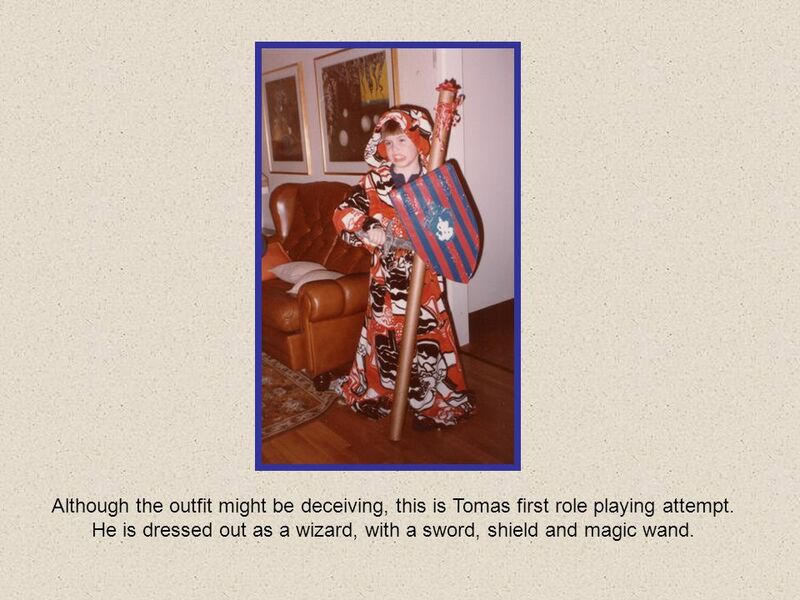 15 Although the outfit might be deceiving, this is Tomas first role playing attempt. 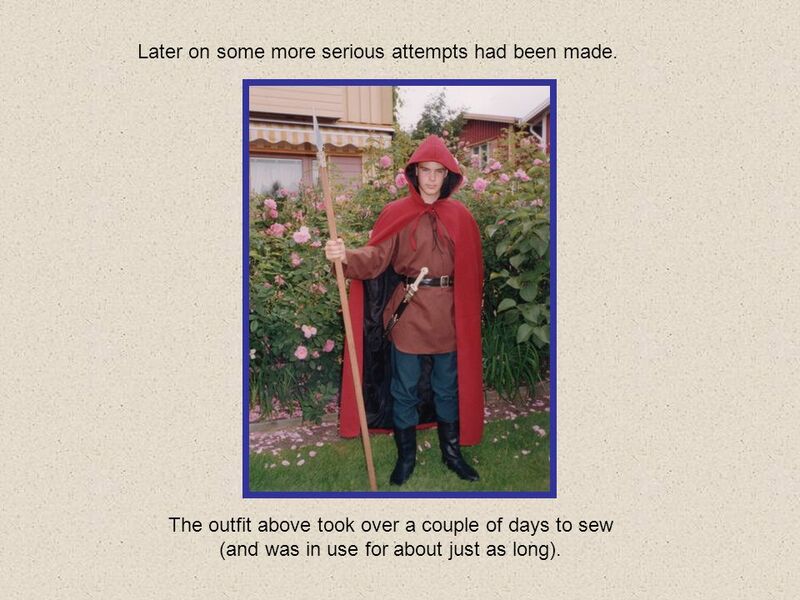 He is dressed out as a wizard, with a sword, shield and magic wand. 16 The outfit above took over a couple of days to sew (and was in use for about just as long). Later on some more serious attempts had been made. 17 Because you can't see the right image's lower part, we can tell you that it contained some blue stockings. We couldn’t find a matching blue pair of pants. 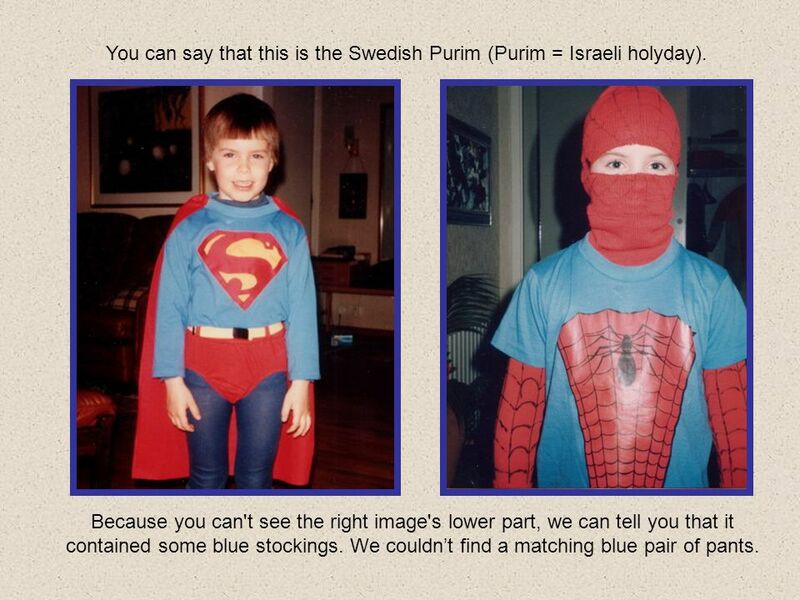 You can say that this is the Swedish Purim (Purim = Israeli holyday). 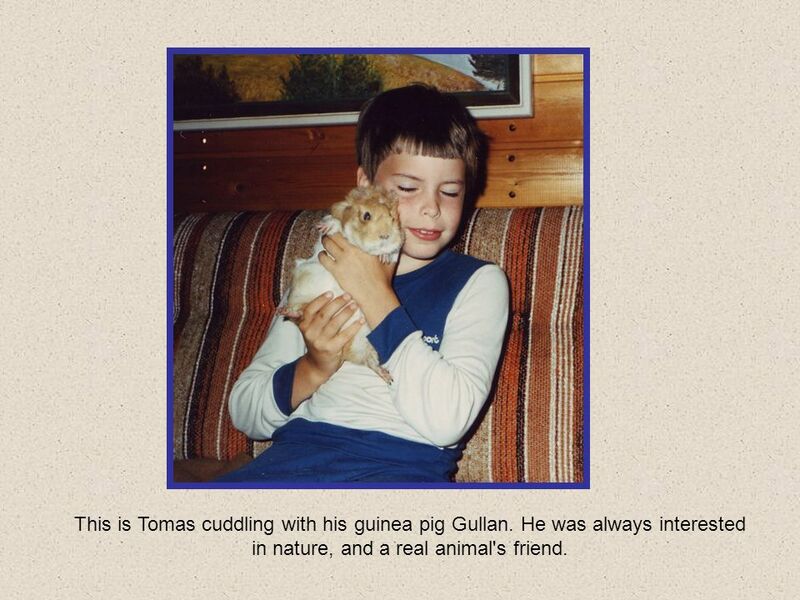 18 This is Tomas cuddling with his guinea pig Gullan. He was always interested in nature, and a real animal's friend. 19 ... 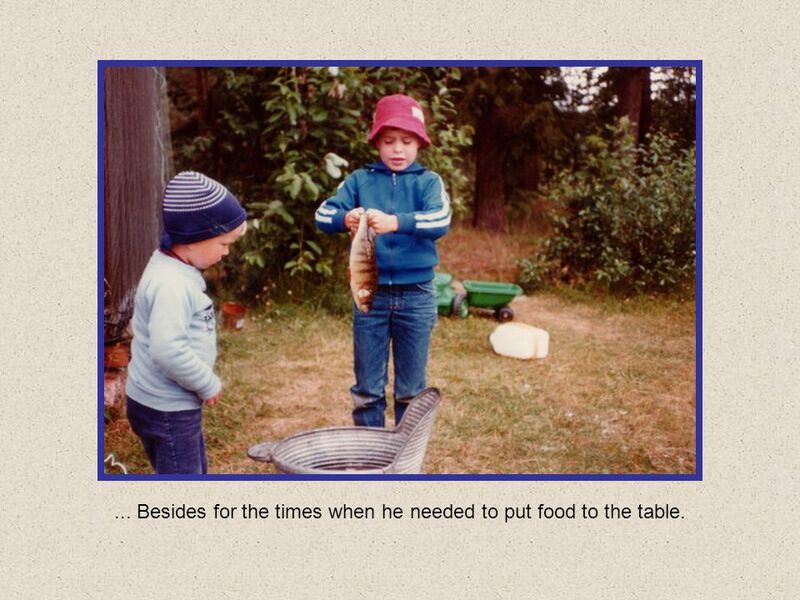 Besides for the times when he needed to put food to the table. 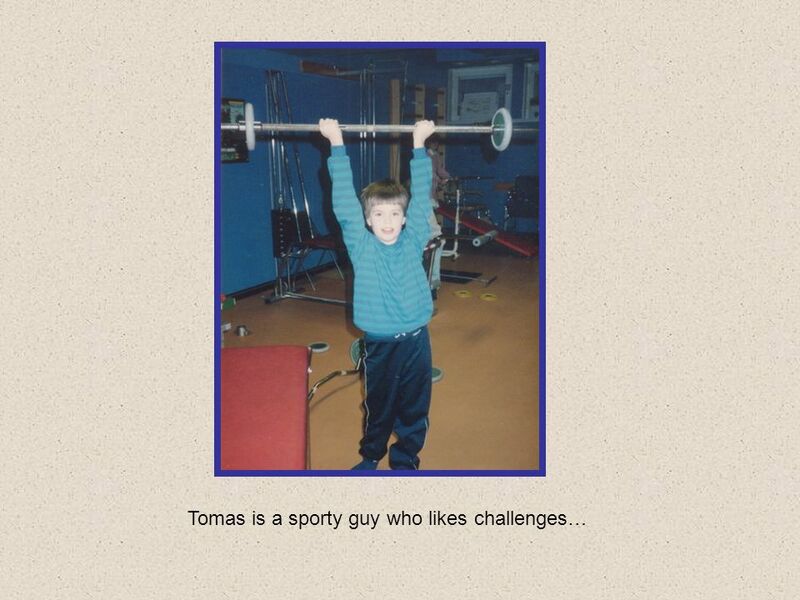 20 Tomas has always been quite interested in science. With computers it was love at first sight. 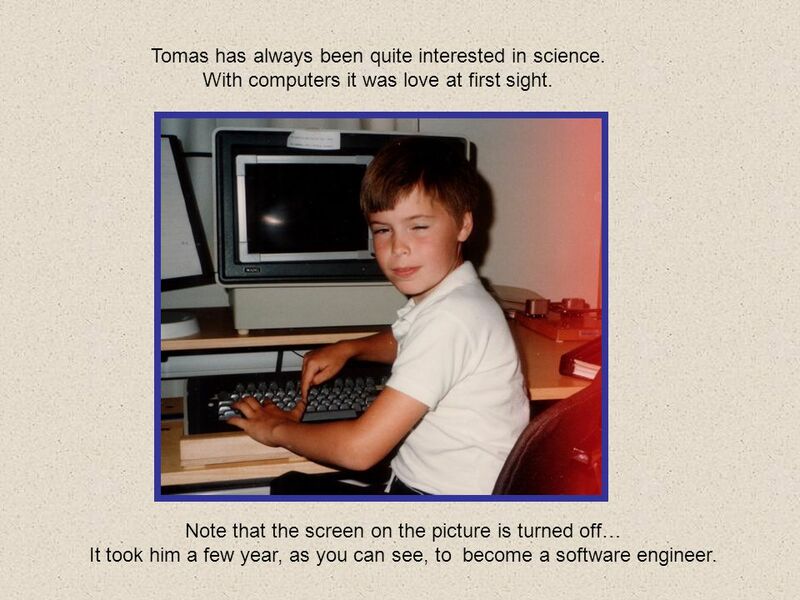 Note that the screen on the picture is turned off… It took him a few year, as you can see, to become a software engineer. 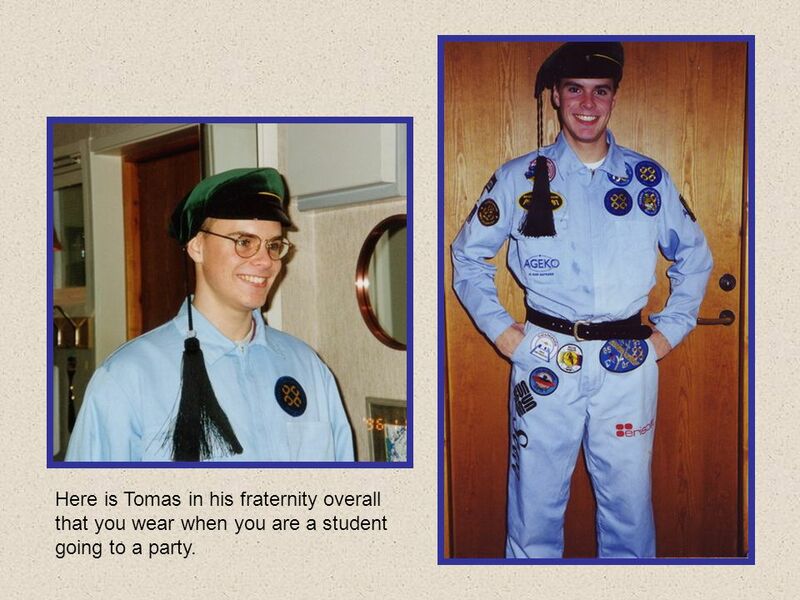 21 Here is Tomas in his fraternity overall that you wear when you are a student going to a party. 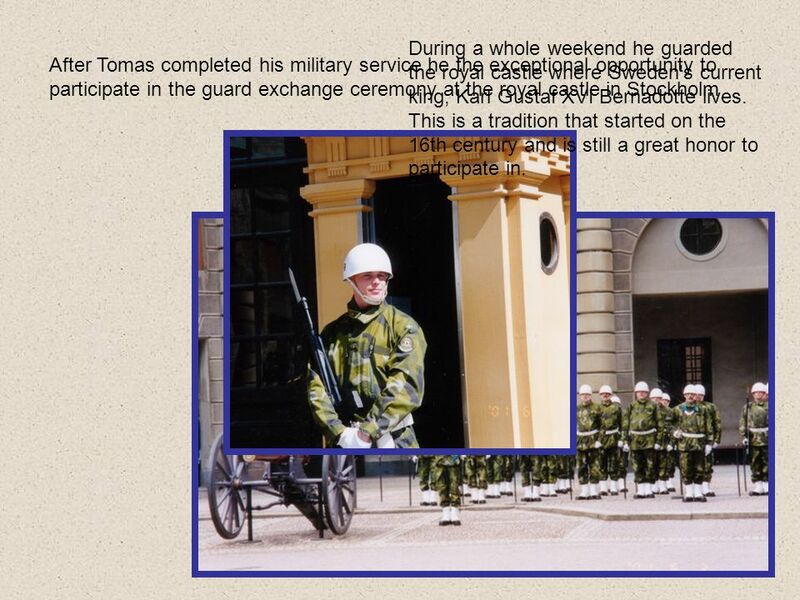 22 After Tomas completed his military service he the exceptional opportunity to participate in the guard exchange ceremony at the royal castle in Stockholm During a whole weekend he guarded the royal castle where Sweden's current king, Karl Gustaf XVI Bernadotte lives. This is a tradition that started on the 16th century and is still a great honor to participate in. 23 Finally, as you have probably already understand, we come from a country that is completely different from yours. 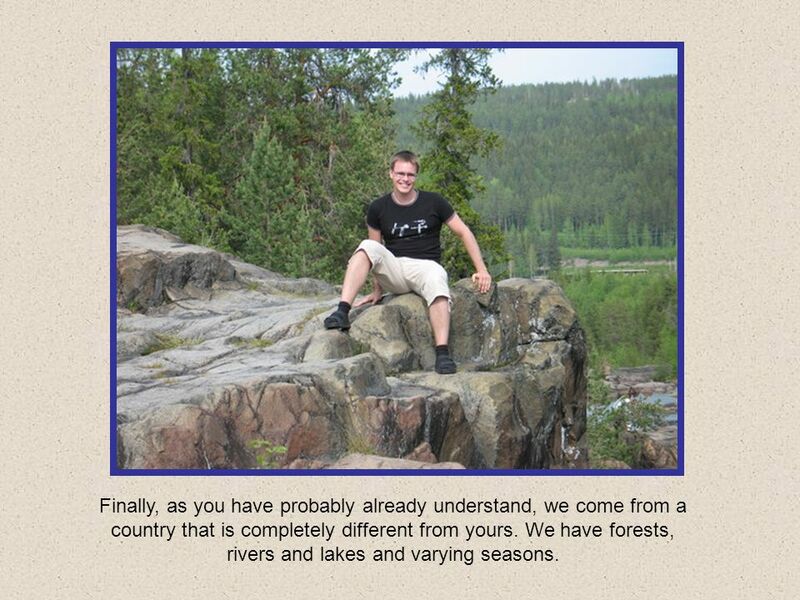 We have forests, rivers and lakes and varying seasons. 25 We admire you, Na’ama, for you amazing ability to fluently speak our language and we have taken you and your wonderful family to our hearts. We couldn't hope for a better daughter in law, who makes our Tomas so happy. 26 We want to thank the Rosenthal family, relatives and friends for the lovely evening and propose a toast for Na’ama and Tomas. Skål! Lechaim! 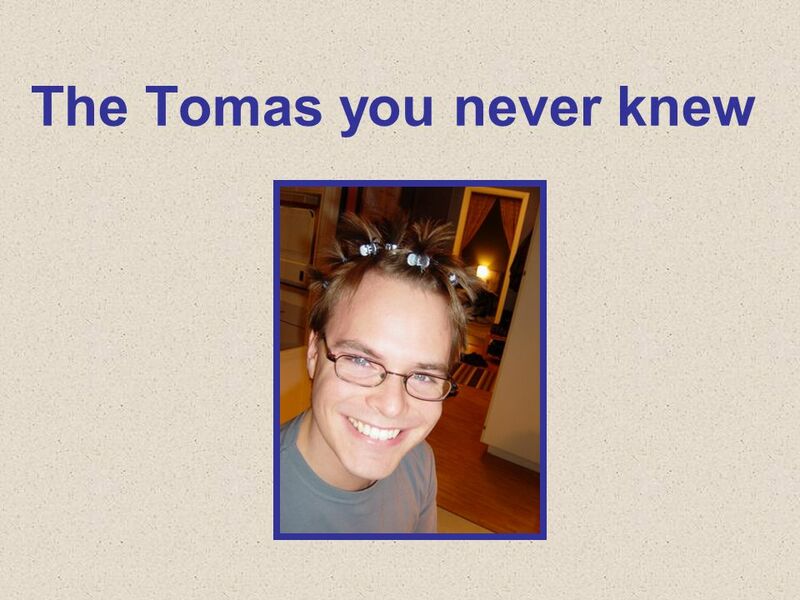 Download ppt "The Tomas you never knew. Dear Na’ama and Tomas, Tsipor and Giora with family, relatives and friends. 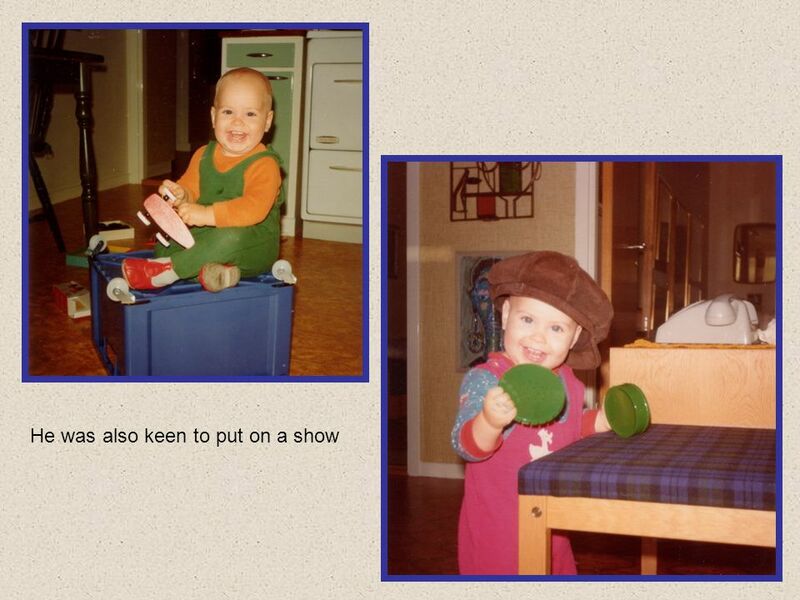 We are Tomas' parents Gudrun and Kalle and it is." WEDDING TRADITIONS IN LITHUANIA. Lithuania is an old country with wedding traditions that stretch back hundreds of years. Bridget 10/18/10 Period 9 Computer #17. There once was a young boy named Eli. Although his name means height, he is the shortest in the school. Eli has. 15 Nice Stories That Make Me Smile!!! I was talking to my 8 years old little sister about the recent divorce. Dear Mr. Jesus You can let the slides play on there own, or advance as you wish. Sound will start on 3 rd slide. You might need some tissues for this. Letter Writing Microteaching Nivaldo Fávero Neto English Language VI.